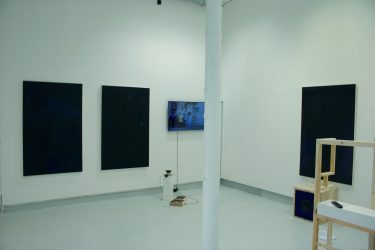 Peace in it together bit by bit pt 3(an annual curatorial experiment) : Artist Residency running from 8th – 31st August. For the Month of August -an Experimental Residency with Andrew Hart & Serena Huang (Hart & Huang) and Various invited guests-will attempt to continue a dialogue with fellow artists with a series of Pop up shows. 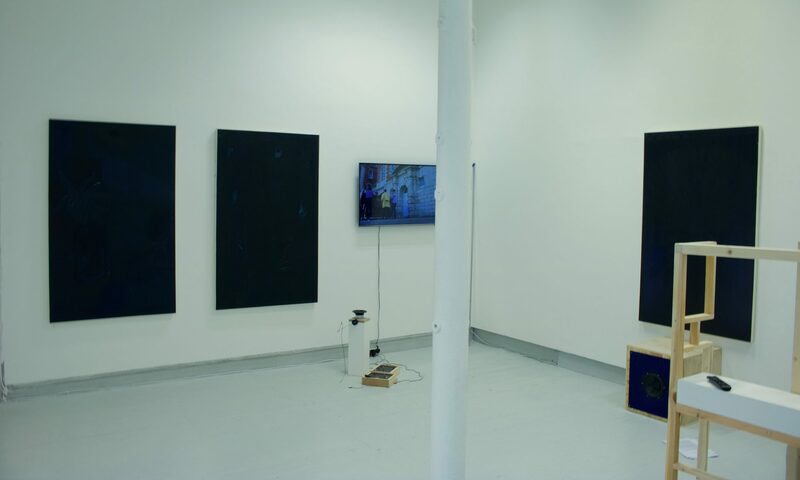 And events in the spaces in between – this a way of continuing the conversation of space,exhibiting, making,curating & the learning through the process of the pop up and the many different connections made through this engagement . ‘Work in progress called Work in progress’ Piano,speakers,plinths, wooden frame dimensions variable. ‘In the Blues Dance 2’ Oil on Canvas 1m x 1.6m-Speaker,perspex 80cm x 80cm. ‘The Dancer’- Plinth,speaker,motor,wire,crocodile clip. ‘Digital killed the Dj star’ motor,aluminium,elastic band,spindle,switches. 2 x 26cm x 14cm. l-r- ‘In the Light’ Oil on Canvas 1m x 1.6m-‘In the Blues Dance’ Oil on Canvas 1m x 1.6m-‘The Dancer’-‘Digital killed the Dj star’- ‘My Old Piano’-Video 23.48 m-‘In the Blues Dance 2’ Oil on Canvas 1m x 1.6m- Speaker 80 x 80cm.